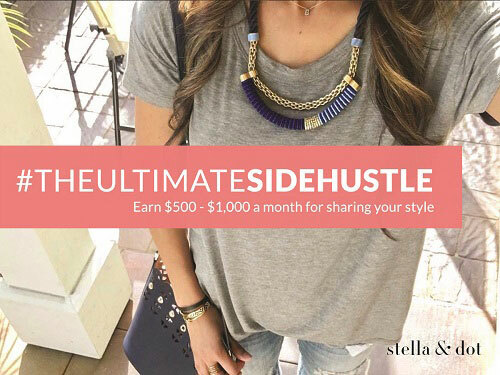 Become A Stella & Dot Stylist & Earn $650 In Accessories! **This is an affiliate posting. Compensation may be earned. 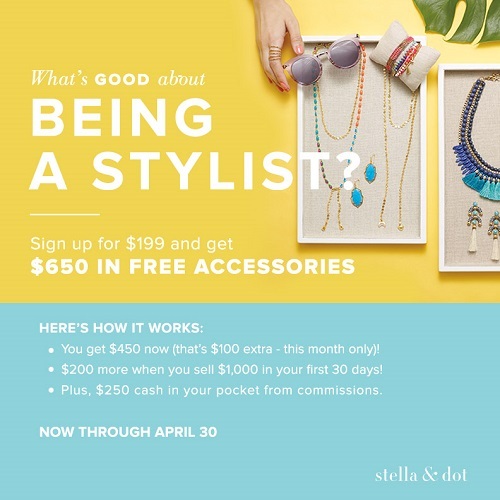 New stylists who join now until April 30th, which is only a short time away, will get up to $650 in FREE accessories - $300 more than the standard payout for a new Stylist! What a fun, flexible, and rewarding opportunity that should not be passed up! - Join during this limited time offer—Now through April 30th. - You, the stylist, will automatically get $450 of free accessories. - Achieve $1000 of sales within the first 30 days and get an additional $200 of free accessories. It's just that easy! Sign up today and not only save but gain too! Fashion isn't really my thing, but hopefully someone will be interested in the info!